Clear wall-mount locking storage boxes keep critical medications and loose supplies visible and secure in a consistent location. 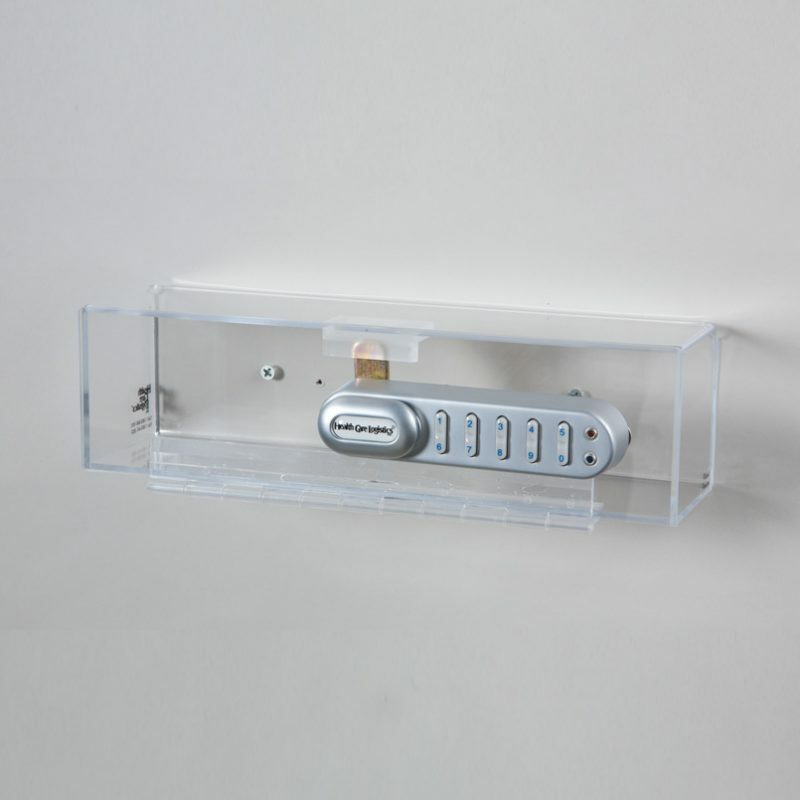 Includes Keyless Entry Digital Lock, which uses a four-digit code and offers immediate access control with three levels of user admittance (no audit trail). Key Lock (two keys included) and Dial Combination Lock also available. 1⁄8″ thick acrylic plastic boxes. Need a different size box? Contact our Customer Service Department for assistance in a custom box size. Available in Small (#18554) and Large.